Your doctor will tell you how many CYCLOSET tablets to take each day. Your doctor may increase or decrease your dose, depending on how your blood sugar levels change over time. 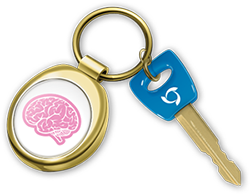 It's important to take CYCLOSET ONLY in the morning within two hours of waking with food, since that's when the dopamine levels in your brain may be lower than normal. If you miss the morning dose, wait until the next morning to take your medication. 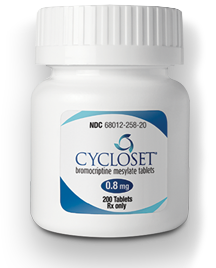 Talk with your doctor about making sure you take your CYCLOSET dose at the right time each day. If you take too much CYCLOSET, call your HCP right away or go to the nearest Emergency Room. Talk with your doctor if you have any questions or you feel changes in your body.